Have you ever considered taking time out to enjoy a completely new career and lifestyle experience? We have a rare and exciting opportunity available for an experienced Medical Director to join an established private hospital in Ho Chi Minh city, Vietnam. Expats are attracted to Vietnam by the good weather, low cost of living, lively culture and the steady improvements in Vietnam’s infrastructure - and this is the opportunity of a lifetime! Responsible for the overall management of all doctors and allied healthcare individuals authorised to practice at the Hospital and it's clinics. The main purpose of the position is to ensure a high level of professional performance by all medical staff for all patients treated in the hospital and clinics to receive the best possible care through the continuous improvement of patient safety, clinical governance, clinical outcomes and patient satisfaction. Experience in JCI accreditation is a must. Ho Chi Minh City (previously Saigon) is the largest city in Vietnam by population. 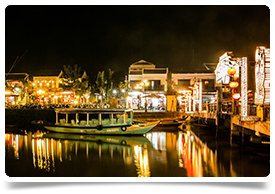 It is often abbreviated to HCM and the name was adopted in 1976 however the old Saigon name is still used by both Vietnamese and foreigners, especially when referring to the most central part of the city to where most tourists visit. Ho Chi Minh City is a city of full of commerce and culture and is often described as having a pulsating energy that breathes life and vitality into all who decide to make HCM their home. From the finest of hotels to the cheapest of guesthouses, the classiest of restaurants to the tastiest of street stalls, the choicest of boutiques to the scrum of the markets, HCMC is a city of energy and discovery. Once dearly called Diamond of the Far-east with the luxury level overriding that of Hongkong or Bangkok, Ho Chi Minh City is now the most populated city in Vietnam. It has a mix of modern office skyscrapers, sitting amidst Oriental style pagodas and food stalls along the street help which all helps to create a dynamic urban area. Ho Chi Minh City’s architecture and lifestyle is the reconciliation between American and Chinese influence, with many dots of modernity yet without losing Vietnamese traits and as much historical as it is modern and one of the things the city is best known for is it’s colourful night-life. Bars stay open until late and vary in style and you also have tea houses that host live music performances. While nearly all Saigonese speak the Vietnamese language, due to the prevalence of tourism and commerce in Ho Chi Minh City, there are also a good deal of people speaking English as a second language.